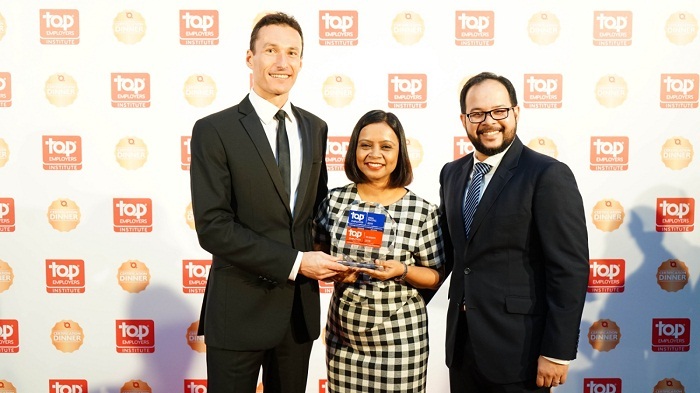 British American Tobacco Bangladesh received the “Top Employers Award” for the first time as a Bangladeshi company. International organisation, “Top Employers Institute” certified BAT Bangladesh with this prestigious award for the year 2019. Rumana Rahman, Head of HR and Saad Jashim, Senior HR Business Partner from BAT Bangladesh received the award at a ceremony held recently in Singapore. “Top Employers Institute”, is a renowned international institute has certified more than 1300 companies in 115 countries worldwide in last 25 years. This recognition is given every year based on the evaluations on organisations ten major aspects such as talent strategy, workforce planning, learning and development, leadership development and culture etc.